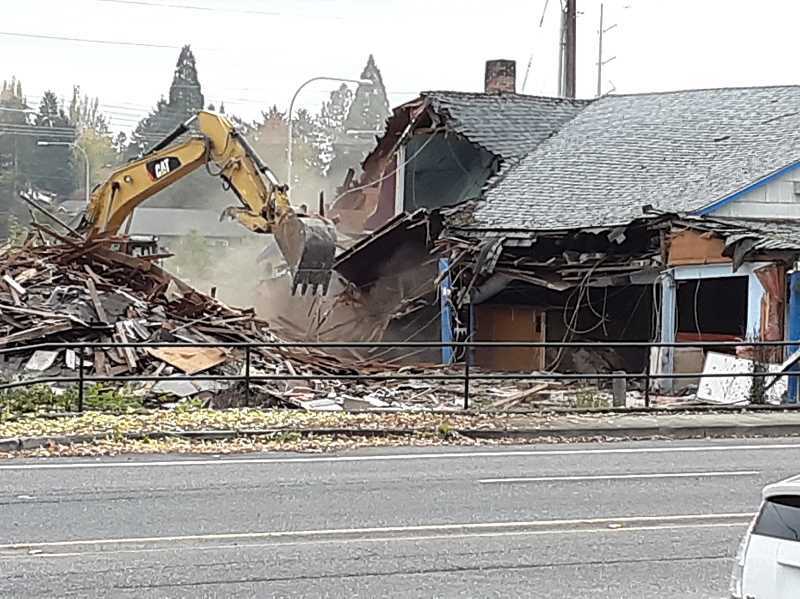 An excavator with a clawed scoop made short order of an iconic East Washington County restaurant Friday afternoon. 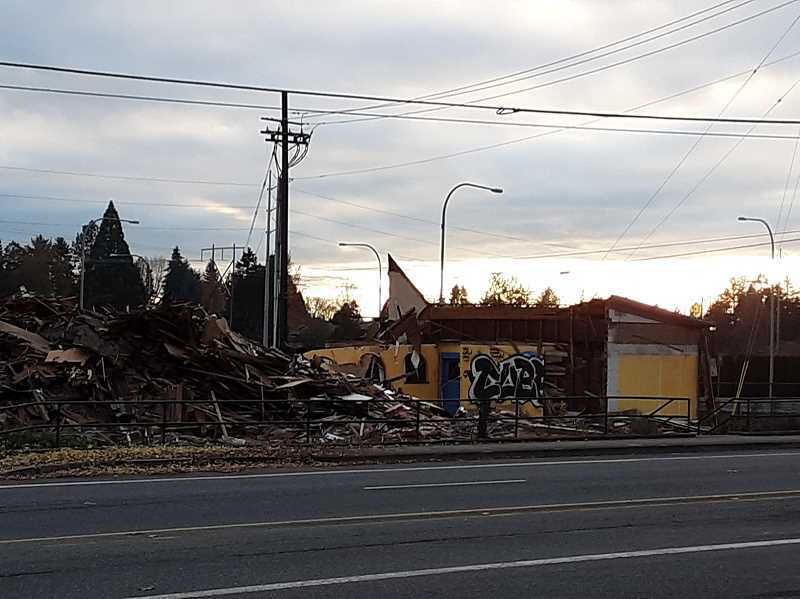 It only took several hours to tear down the Mad Greek Deli, which first opened its doors in 1977, leaving only a small portion of the 185th Avenue and West Union Road restaurant intact. The eatery was famed for its gyros as well as its namesake sandwich, a behemoth sub that contained generous portions of four different types of meat topped with olives on toothpicks. A sign that once stood atop the deli counter made it clear to customers that what some may call ranch fries or jo jo potatoes were nothing of the sort. They were Greek fries and Greek fries only! Clientele at the less then 4,000-square-foot restaurant, which once served as a corner grocery store, consisted of "bicyclists, bikers and Intel employees," an employee once said. 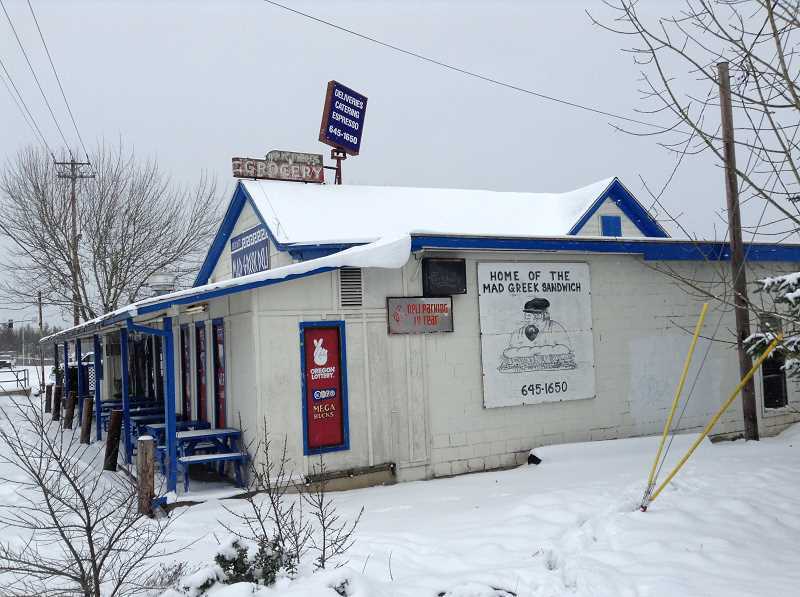 In January 2014, owner Pantelis 'Pondo' Kosmas announced he would close the Mad Greek Deli, telling a reporter for the Beaverton Valley Times: "The building is 115 years old and has finally gotten the best of me." The Mad Greek Deli and the building catty-corner from it (which contains the Rock Creek Corner restaurant) were long landmarks of the area long before West Union Village complex (containing the Albertson's store) was built. The restaurant officially shuttered its doors in January 2015. Then in February 2016, Pondo Kosmas, a man described as friendly, generous and "larger than life," died of a sudden and unexpected brain hemorrhage at age 49. A short time later, a vigil was held at what was by then a boarded-up Mad Greek with vigil-goers remembering the Aloha High School graduate. They tied balloons to the front of the building and wrote heartfelt messages using Sharpie pens on the restaurant's aging siding. 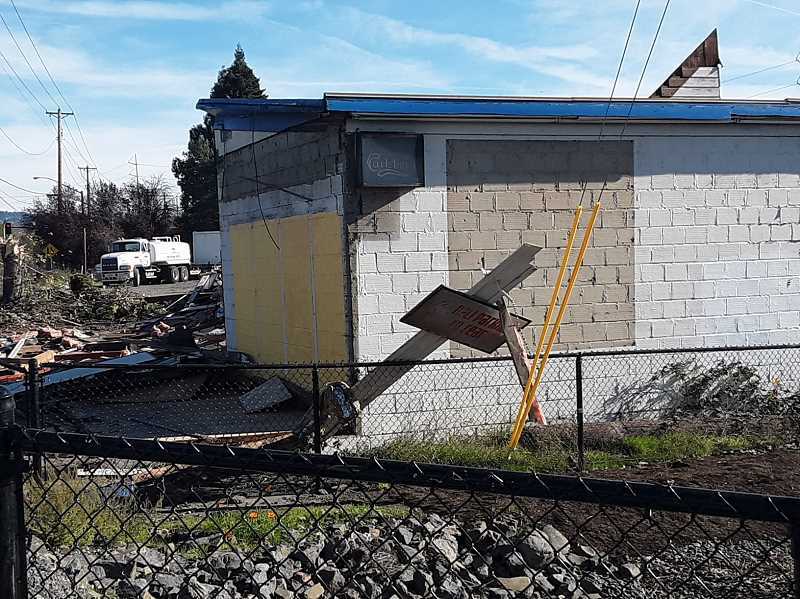 But all that changed quickly after noon on Friday as machinery ripped out the remaining trees on the property before taking large chunks from the building itself. The building had a long and storied history. According to Donald R. Nelson's book, 'Around Bethany,' the structure previously housed the Valley West Grocery Store before its 1977 purchase by George Athanaskis. Before that, it was the home of the Bethany General Merchandise Store. As dusk began to descend at 4 p.m. on Friday, all that was left besides a tiny piece of the structure still standing was a pile of debris. By late Monday afternoon, that final structure near 185th Avenue was also taken down. The property is slated for future development.